It gives us great pleasure to welcome you to Bredgar Church of England Primary School and to its website. Bredgar School is a small village school just lying to the south of Sittingbourne town in Swale, Kent. Bredgar Village is set within beautiful countryside and the school is served by a delightful playing field of its own as well as a school garden with a pond. With just over a 100 pupils on role, there are 4 classes divided into the reception and Year 1 class, a Year 2 class, a Year 3 and 4 class and finally a Year 5 and 6 class. Each class has a name: Bears, Butterflies, Badgers and Beavers respectively. One of our many strengths is our ‘family’ community with the pupils and their families as well as with the local community. In February 2017, Ofsted confirmed that the school continues to be good and noted that our pupils display excellent learning and social behaviours. The school was also complimented for its pastoral care, with staff providing a superb, nurturing environment. In March 2017, the National Society Statutory Inspection of Anglican Schools Report (SIAS) found Bredgar School to continue its outstanding provision as a church school. This inspection focuses on the effect the Christian ethos of a church school has on the children who attend it. Needless to say, we were delighted with these judgements however we continue to build upon these great foundations and strive to further improve the provision we make. 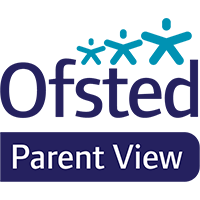 We encourage working in partnership with parents and carers and see this as an integral part of each child’s success. From the initial visit to look around Bredgar School, to the Leavers’ Service and all that lies between, parents and carers have an important part to play in their child’s learning journey. We look forward to welcoming you into our school community.